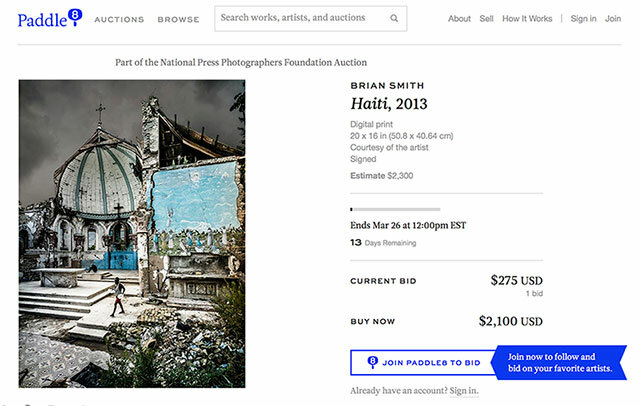 Here’s your chance to get a GREAT DEAL on a couple of my most popular photographs and help the Michel duCille Memorial Scholarship Fund. 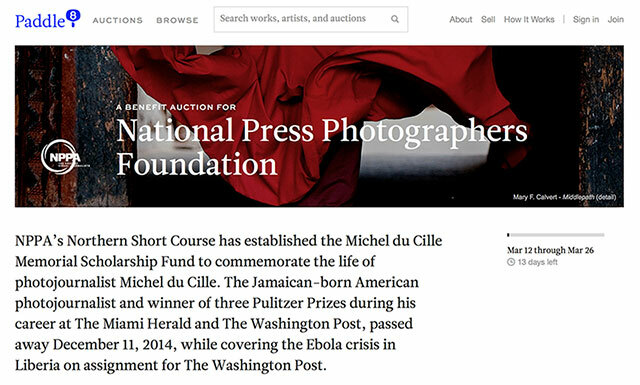 NPPAâ€™s Northern Short Course has established fund to commemorate the life of my good friend and fellow Pulitzer Prize-winning photojournalist Michel duCille – winner of three Pulitzer Prizes during his career at The Miami Herald and The Washington Post. Michel died December 11, 2014, while covering the Ebola crisis in Liberia on assignment for The Washington Post. 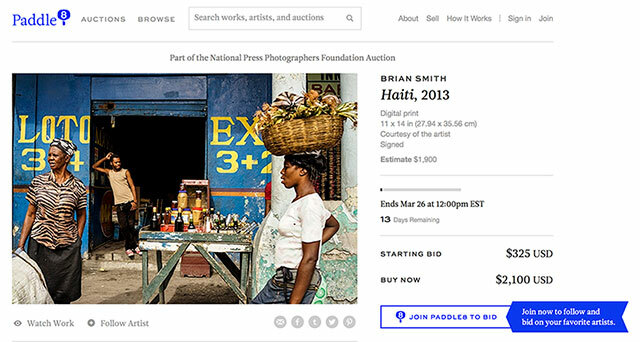 The Michel duCille Memorial Scholarship Fund Action includes prints from photographers Carol Guzy, Ed Kashi, Ami Vitale, Eli Reed, John White, Steve Raymer, Yunghi Kim, Rick Loomis, Deanne Fitzmaurice, Scott Strazzante, Melissa Lyttle, James Colton, Dave Bergman, Matt Eich, Daniel Morel, Willam Snyder and many more. Michel duCille Memorial Scholarship Fund Auction ends March 26, 2015. Exhibit Opening Reception will be held Wednesday, June 25, 7:00 – 10:00 pm Industrial Color, 32 Ave of the Americas (at Walker Street) New York, NY 10013 and the show remain up until July 9th. 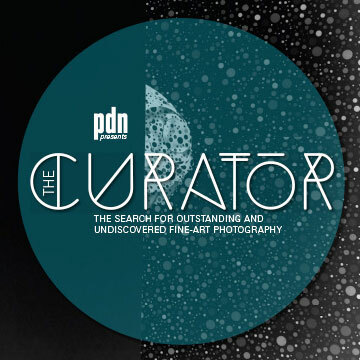 Each year, PDN searches for outstanding and undiscovered fine-art photography through their annual competition The Curator. 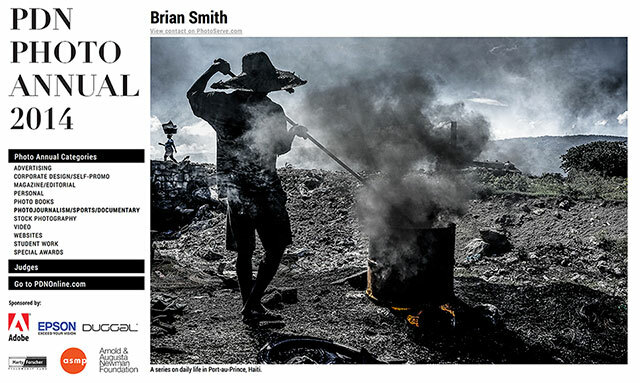 Iâ€™m deeply honored to win PDN’s The Curator Award for Fine Art Photography of Urban Scenes by Photo District News for my series of photographs from Haiti. This is the third major photography award for the series which earlier this year won in the PDN Annual Awards 2014 and was chosen for American Photography 30. The photographs were part of a series that I shot last fall when I was given a chance to revisit my roots as a photojournalist, returning to Haiti to capture images of life in Port-au-Prince using the Sony A7R camera. 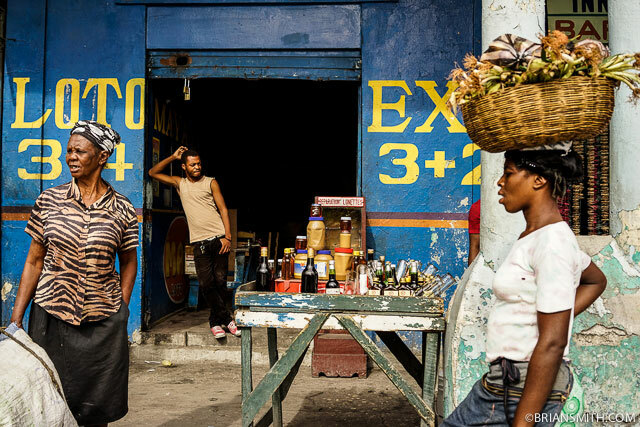 Since my days as a photographer at the Miami Herald, I’ve always felt a special affinity for the Haitian people. I hope these images capture the enduring spirit of the Haitian people, the beauty that exists in the chaos, and my wishes for a better tomorrow. Deborah Willis, Ph.D, professor and chair of the Department of Photography & Imaging at the Tisch School of the Arts at New York University and has an affiliated appointment with the College of Arts and Sciences, Africana Studies. Patricia Lanza, director of talent and content at the Annenberg Foundation. She develops programming for the Annenberg Space for Photography in Los Angeles, which produces print exhibitions and a film production created for each show. Ariel Shanberg, executive director of The Center for Photography at Woodstock in New York, a not-for-profit artist-centered space with year-round programs including exhibitions, workshops, lectures, residencies, access to workspace. Yossi Milo, owner of Yossi Milo Gallery in New York City, which he established in 2000. The gallery is dedicated to exhibiting the work of international contemporary artists specializing in photography and works on paper, known for showcasing a diverse group of emerging and established artists. W.M. Hunt is a champion of photography: a collector, curator and consultant who lives and works in New York City. He is a professor at the School of Visual Arts and has produced and moderated the “Your Pictureâ€¦” series for 20 years. 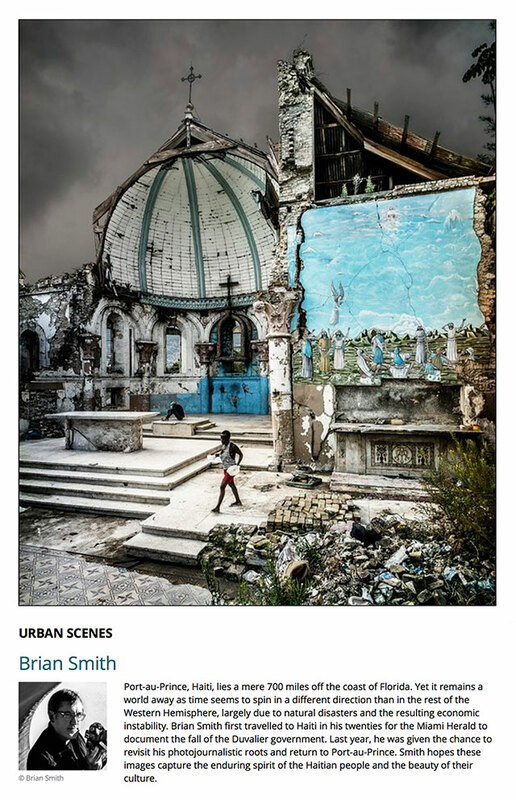 Iâ€™m deeply honored to win PDN’s The Curator Award for Fine Art Photography of Urban Scenes by Photo District News for my series of photographs from Haiti. 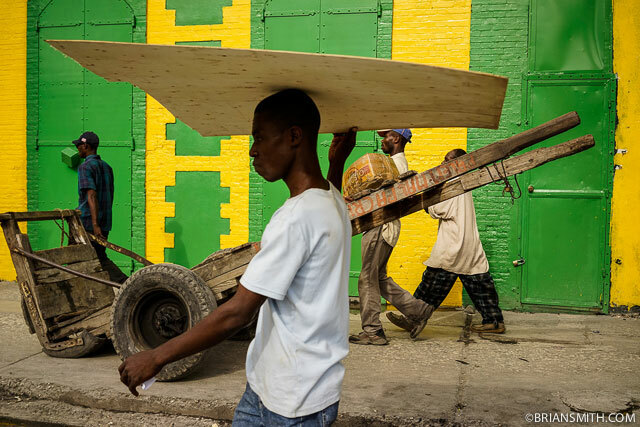 The photographs were part of a series that I shot last fall when I was given a chance to revisit my roots in photojournalism, returning to Haiti to capture images of life in Port-au-Prince using the Sony A7R camera. 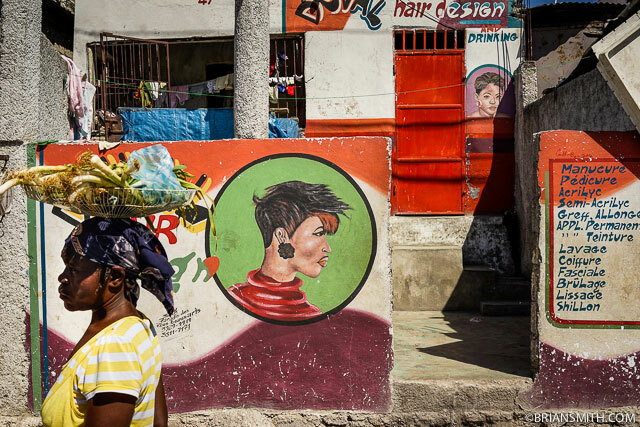 Since my days as a photographer at the Miami Herald, I’ve always felt a special affinity for the Haitian people. I hope these images capture the enduring spirit of the Haitian people, the beauty that exists in the chaos, and my wishes for a better tomorrow. Deborah Willis, Ph.D is a university professor and chair of the Department of Photography & Imaging at the Tisch School of the Arts at New York University and has an affiliated appointment with the College of Arts and Sciences, Africana Studies. She was a 2005 Guggenheim Fellow and Fletcher Fellow, and a 2000 MacArthur Fellow, as well as the 1996 recipient of the Anonymous Was a Woman Foundation award. She has pursued a dual professional career as an art photographer and as one of the nation’s leading historians of African-American photography and curator of African-American culture. Professor Willis has just received the honored educator award at the Society for Photographic Education. She has exhibited her own work around the country and continues to curate exhibitions at the Tisch School and with other institutions, such as the International Center of Photography and the Nathan Cummings Foundation. Patricia Lanza is the director of talent and content at the Annenberg Foundation. She develops programming for the Annenberg Space for Photography in Los Angeles, which produces print exhibitions and a film production created for each show. Lanza worked on the development of the photographic center from its inception to its opening in 2009. It has been host to 13 exhibitions, including “Helmut Newton,” “National Geographic 125 Years,” “WAR/PHOTOGRAPHY” and “Who Shot Rock & Roll.” The Annenberg Space for Photography was awarded the Julius Shulman Award for Excellence in Communication in 2011 and the Lucie Foundation Exhibition of the Year award for Beauty Culture, along with recognition from multiple domestic and international film festivals for the institution’s original films. Ariel Shanberg is the executive director of The Center for Photography at Woodstock in New York, where he has worked since 1999. A not-for-profit artist-centered space, CPWâ€™s year-round programs include exhibitions, workshops, lectures, residencies, access to workspace and more. In addition to his work at CPW, he has guest-curated exhibitions at the Samuel Dorsky Museum of Art, the Philadelphia Photo Arts Center, the Houston Center for Photography and at the Light Factory. Additionally, he has contributed writings on various artists, which have been published in exhibition catalogs such as ASPECT: The Chronicle of New Media Art, Contact Sheet, European Photography, Nueva Luz and Photograph. Yossi Milo is the owner of Yossi Milo Gallery in New York City, which he established in 2000. The gallery is dedicated to exhibiting the work of international contemporary artists specializing in photography and works on paper, and is known for showcasing a diverse group of emerging and established artists. The gallery’s program includes Marco Breuer, Matthew Brandt, Chris McCaw, Pieter Hugo, Tim Hetherington, Alison Rossiter, Mark Ruwedel, Mike Brodie and Ezra Stoller. The gallery presented the premiere New York City exhibitions of artists Takuma Nakahira, Kohei Yoshiyuki, Simen Johan, Loretta Lux and Sze Tsung Leong, among others. W.M. Hunt is a champion of photography: a collector, curator and consultant who lives and works in New York City. He is a professor at the School of Visual Arts and has produced and moderated the “Your Pictureâ€¦” series for 20 years. Hunt is on the Board of Directors of the W. Eugene Smith Memorial Fund and The Center for Photography at Woodstock. Exhibit Opening Reception will be held Wednesday, June 25, 7:00 – 10:00 pm Industrial Color, 32 Ave of the Americas (at Walker Street) New York, NY 10013. RSVP Here! 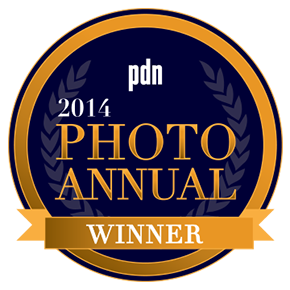 Photo District News has awarded a PDN Annual Award for Photojournalism and Documentary Photography to a series of my photographs from Haiti. Given the amazing work in this competition, Iâ€™m humbled and deeply honored among the winners for the third time in four years. 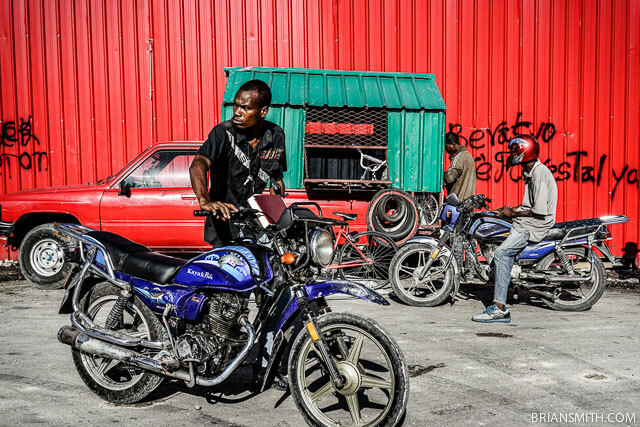 Port-au-Prince, Haiti lies a mere 700 miles off the coast of Florida – yet it remains a world away as time seems to spin in different direction than the rest of the Western Hemisphere. I first traveled to Haiti in my twenties for the Miami Herald to document the fall of the Duvalier government. 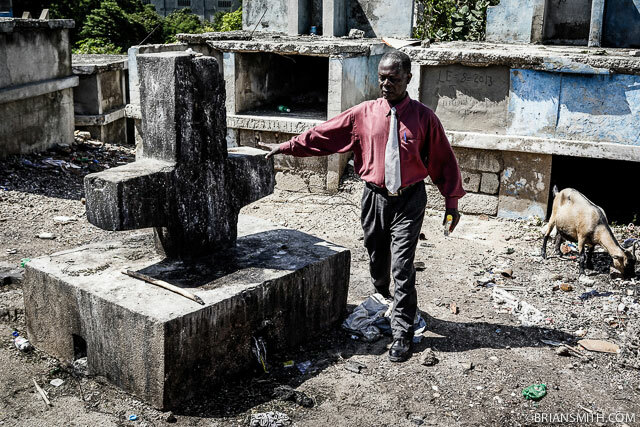 Returning a dozen times over the next five years, I always felt a special affinity for the Haitian people who never seem to catch a break from the forces of the Universe. 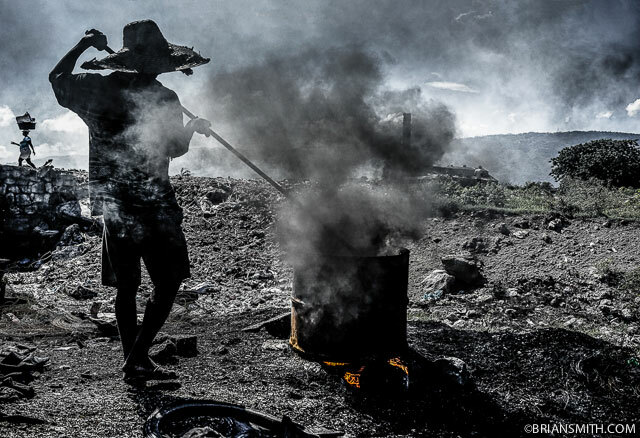 Last year I was given a chance to revisit my roots in photojournalism, returning to Haiti to capture images of life in Port-au-Prince using the Sony A7R. 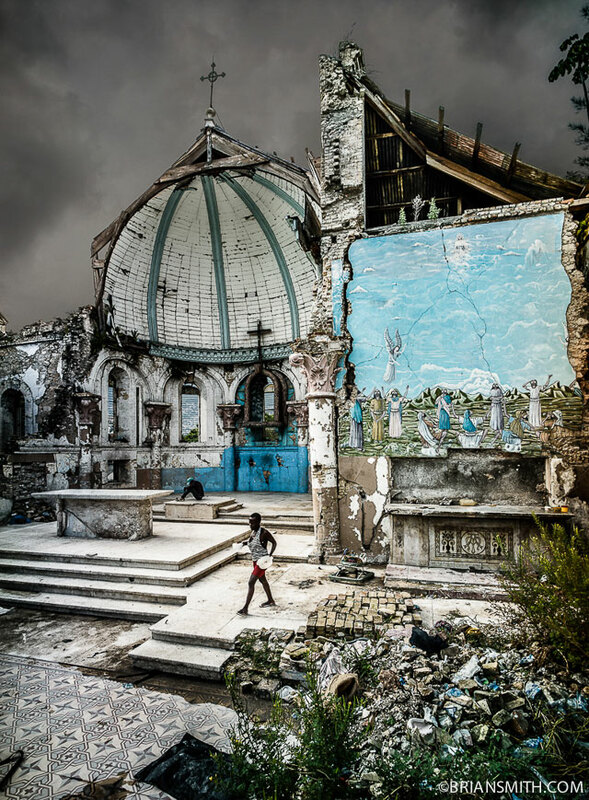 I hope these images capture the enduring spirit of the Haitian people, the beauty that exists in the chaos, and my wishes for a better tomorrow.